GoldCircle: Well, the time has come to archive this event - and again - sincere thanks to everyone who attended and did their bit - be it for the cache type, the D/T, the souvenir or the stat, the craic, the company or simply the sheer satisfaction of it all! The 12th Annual Cache-In Trash-Out Weekend is scheduled for Sunday April 27th, 2014. Please join us, after The Swedish Breakfast, in the Dodder Valley Linear Park at 1pm for about 1.5 hours to help rid this interesting and under-utilised park of some of it's amenity destroying litter. Cache In Trash Out, or CITO, is an ongoing environmental initiative supported by the worldwide geocaching community. Since 2002, geocachers around the world have been dedicated to improving parks and other cache-friendly places. 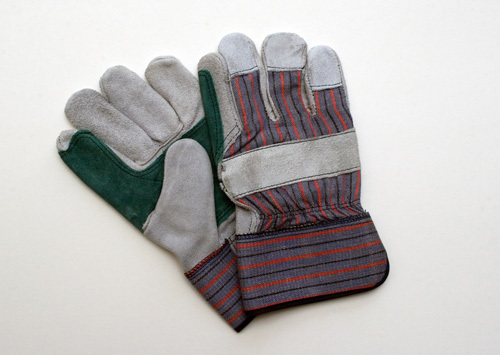 Through these volunteer efforts, we help preserve the natural beauty of our outdoor resources! Geocachers around the world celebrate International Cache In Trash Out weekend annually by hosting and participating in CITO Events in their local area. Events might be focused on litter clean-up, removal of invasive species, re-vegetation efforts or building trails. Together, we make an enormous positive impact. Did we mention that we also have a bit of fun while we're at it? A CITO event has its own Geocaching icon and statistical entry, so for those who have never taken part in one before, now is your opportunity to be rewarded with something new. And Groundspeak has confirmed that there will, once again, be a special souvenir for those logging an Attended at this CITO event. Of course, the real reward lies in giving back to our environment. 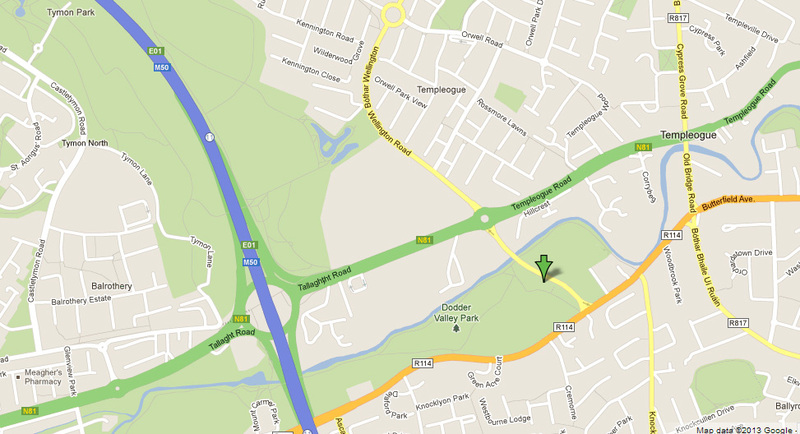 As this is the 12th Annual Cache In Trash Out Weekend, the event has been schedule to coincide - it will be on Sunday April 27th, 2014 starting at 1pm in the Dodder Valley Linear Park car park on the Spawell Link Road, Templogue/Knocklyon. You might like to arrive about 15 minutes early? As it's hungry work, you might like to fill up on Swedish Breakfast in advance? For those familiar with Tymon Park - it lies due South, on the Eastern side, across the Dodder bridge on the new link road. BY CAR: From the M50 exit at J11 Tallaght and follow the signs for Templeogue. Turn south towards the mountains at the Spawell Roundabout on the N81. Southsiders: You can access it from the R114 (Firhouse Rd./Butterfield Ave., Rathfarnham) by following the M50 road signs. Parking is free of change at the park car park - and done so at your own risk. My first suggestion is to join the Irish geocaching forums: http://forums.geocachingireland.com/viewtopic.php?f=2&t=3678 and ask in the if anyone can give you a lift - there will be plenty of people travelling from the northside through town. Or you could use the Facebook group also, if you prefer: https://www.facebook.com/groups/geocachingireland/ - I'd be really surprised if you couldn't get a lift. Alternatively DESTINATION: Bus Stop No. 2551 Tallaght Road, Wellington Lane Routes serving this stop: 54a Towards Ellensborough / Kiltipper Way - leaves from Pearse St. which is the north side of Trinity College, Stop 342 - first departure 10am, take about an hour 65 Towards Blessington / Ballymore - leaves from Hawkins St., side of Trinity College, Stop 5189 - 09:30 departure, take about an hour. Modern buses have an LED display showing what the next stop is. Older buses don't, but the bus driver will be very happy to let you know when you get there - if you ask him to. Might be best to wait about 30 minutes before asking him, in case he forgets. Well, first of all - bring yourself! Bring the family. And a friend. Neighbours too - we're not proud. If bringing children, however, please consider whether you feel this activity is really suitable or safe for them. Please err on the side of caution, as litter clean-up can be hazardous for anyone, not least children; that said, we won't be dealing with toxic sludge. South Dublin County Council, in conjunction with AnTaisce's National Spring Clean initiative, has provided a good supply heavy duty colour-coded refuse bags for plastic bottles, food & drink cans and general litter; there may also be a limited supply of litter-pickers (though this is yet to be confirmed). South Dublin County Council will dispose of the litter collected at the end of the event. 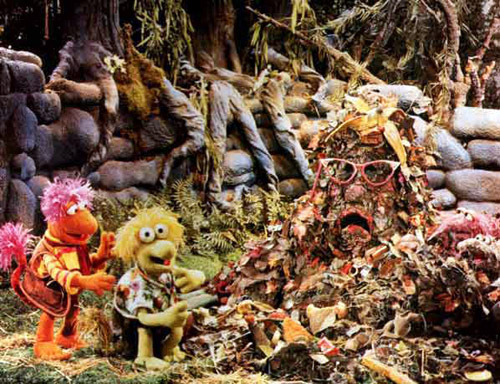 Afterwards, we'll put our mountain of trash together and take a photo, as is the time-honoured CITO tradition. By participating in this event, you de facto agree that your participation is at your own risk and neither the event host, GoldCircle, nor the land managers of Dodder Valley Park, South Dublin County Council, nor An Taisce, will be responsible for any accident, injury or loss to people or their belongings while participating in this event. Please exercise due caution at all times.